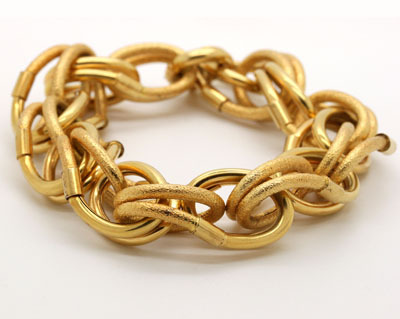 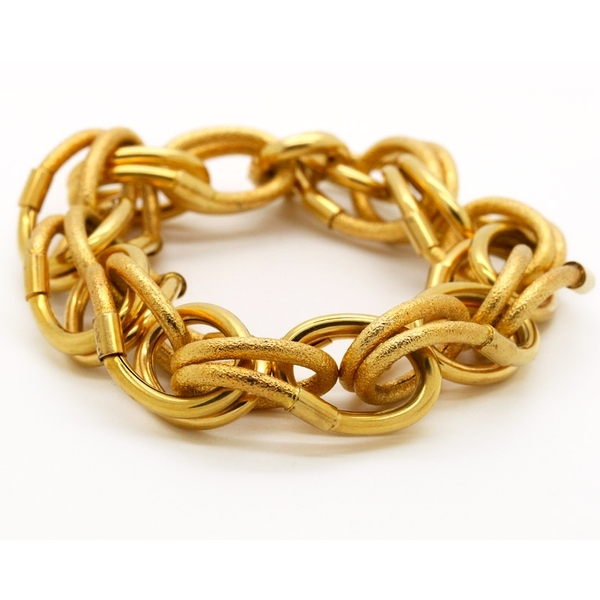 Textured And Polished Beautifully-Linked Gold Bracelet Reliable Gold Ltd. 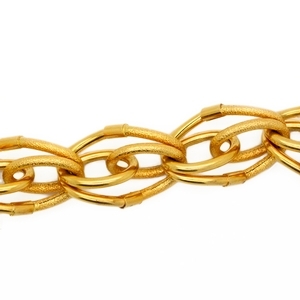 Unique estate gold link bracelet with textured and polished interlocking oval links in 18K yellow gold. 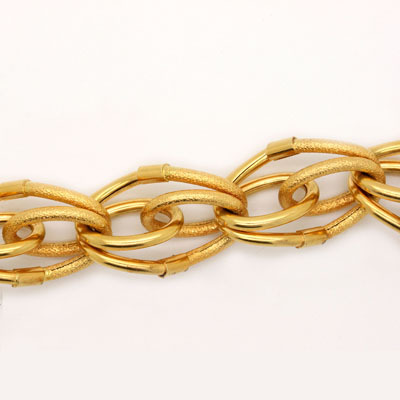 8.5 inches long and 33.1 grams.